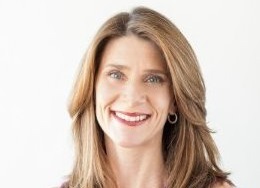 Carone, who was previously the CMO at Xerox, is providing marketing and communications counsel to Fidelity's new business ventures. BOSTON: Christa Carone, EVP of corporate communications at Fidelity Investments, has transitioned to the new role of EVP for corporate services, focused on providing marcomms support to new business ventures. Carone, who joined Fidelity in 2013 after serving as the CMO of Xerox, started the position last month. She continues to report to Geoff von Kuhn, Fidelity’s head of corporate and shared services, she said via email. She added that she joined the company "to build an integrated PR and brand marketing communications team and strategy," and with that in place, her focus has shifted to "providing marketing and communication consulting and strategies for new business ventures." "We don’t plan to do a like-for-like replacement with my prior role," Carone explained. "Instead, we just completed some minor reorganization so everyone is aligned with the PR and communication initiatives to support corporate needs and those of the individual businesses." According to Carone’s LinkedIn profile, she is now serving as an in-house marketing consultant for Fidelity’s diversified businesses, which includes ventures in the incubator stage and extensions of the company’s core businesses. Prior to Fidelity, Carone was the chief marketer at Xerox for about five years. Before that, she served as VP of global communications at Xerox for seven years, in addition to holding other PR roles at the company.